Join Healing Artist @dane_osorio for a high vibe night of connection, healing and peace. 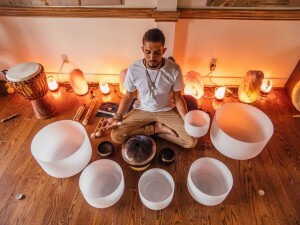 Dane will be guiding a sound healing meditation journey using various sacred sound healing instruments that will nourishing your mind, body and soul. Shed the lower vibes and allow the sacred frequencies raise your vibration. This is a great way to help release, anxiety, stress and overall tension. Meditation, Yoga and Sound Healing with Dane! Announcing a new Thursday night drop in class for all levels at Elemental Wellness Studio in Vaughan. The first of it’s kind in Vaughan! 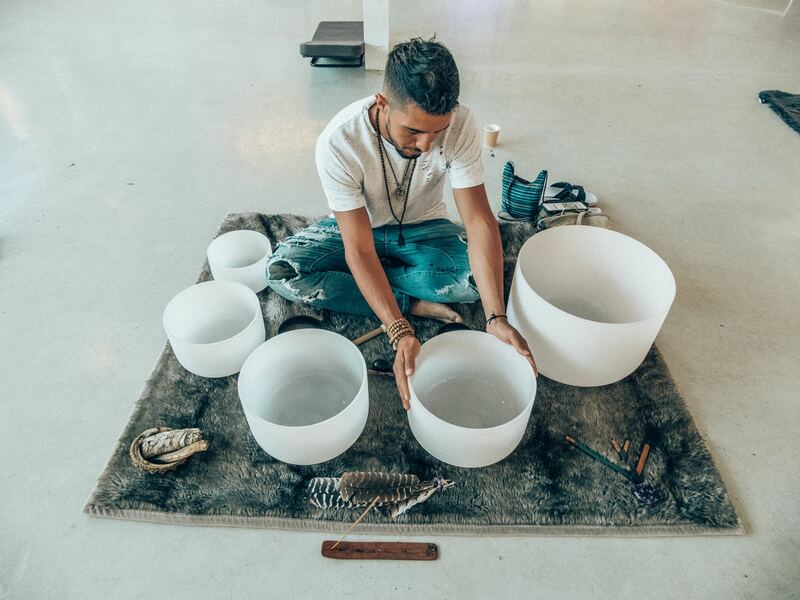 Join Healing Artist Dane Osorio for a night of connecting to the mind, body and soul. Through meditation, movement and sound healing. The class continues with a little movement (there will be opportunity for a little dancing and shaking on your mat) and stretching (gentle yoga) to get into the body to release tension and open up the meridians for better energy flow. Dane will then guide you down onto your mats for final shavasana, accompanied with a Reiki infused sound healing meditation to end off the class. An energetic massage to soothe the soul and fill you up with good energy. After class join us upstairs in the lounge for the weekly Thursday night Tea and Talk located in the upstairs lounge. Enjoy some nice tea and conscious talks with fellow open and like minded and hearted people. Please register in advance and space is limited. Visit www.goelemental.com or call 905 669 4222. Book your private or private group today! 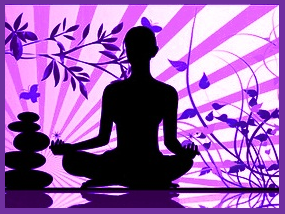 Stress Relief: Meditation reduces the physical effects of stress on the body. By encouraging relaxation, Meditation helps to lower the levels of the stress hormone cortisol. Related benefits include lowering blood pressure and heart rate, improving digestion and boosting the immune system as well as easing symptoms of conditions such as anxiety, depression, fatigue, asthma and insomnia. Pain Relief: Meditation can ease pain. Studies have demonstrated that practicing meditation or a combination of Yoga and Meditation, reduced pain for people with conditions such as cancer, multiple sclerosis, auto-immune diseases and hypertension as well as arthritis, back and neck pain and other chronic conditions. Better Breathing: Meditation teaches people to take slower, deeper breaths. This helps to improve lung function, trigger the body’s relaxation response and increase the amount of oxygen available to the body. Flexibility: Meditation also helps to improve body alignment resulting in better posture and helping to relieve back, neck, joint and muscle problems. Increased Strength: Meditation provide an additional benefit of helping to relieve muscular tension. Weight Management: Meditation can aid weight control efforts by reducing the cortisol levels as well as by reducing stress. Meditation may also encourage healthy eating habits and provides a heightened sense of well being and self esteem. Improved Circulation: Meditation and the stretching exercises helps to improve circulation and, as a result of various stretching, more efficiently moves oxygenated blood to the body’s cells. Cardiovascular Conditioning: Meditation can provide cardio-vascular benefits by lowering resting heart rate, increasing endurance and improving oxygen uptake during breathing and stretching exercise. Focus On The Present: Meditation helps us to focus on the present, to become more aware and to help create mind body health. It opens the way to improved concentration, coordination, reaction time and memory. Inner Peace: The pondering aspects of Meditation help many to reach a deeper, more spiritual and more satisfying place in their lives. Many who begin to practice for other reasons have reported this to be a key reason that Meditation has become an essential part of their daily lives. Felling Fatigued, Lack of Motivation, no Energy? © 2012 Vital Ki Holistic Centre, All Rights Reserved.